Are you looking for the perfect match ? HOW MANY MEETINGS DID YOU BOOK @ TRUSTECH 2017 ? 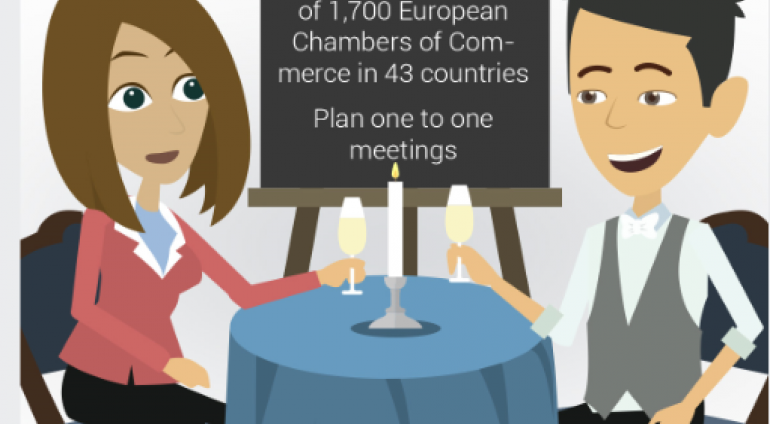 Take part and benefit from TRUSTECH matchmaking program which offers you an exclusive and complementary opportunity to find targeted business relationships. Get access to more than 3500 identified international buyers. These buyers will be personally contacted prior to the event in order to plan qualified and targeted face-to-face meetings. TRUSTECH Matchmaking Program was empowered by Business Beyond Borders, a new European Commission (EC) initiative which will help businesses, in particular Small and Medium Enterprises (SMEs) and Clusters, to operate internationally with the ultimate goal of increasing economic growth within and outside Europe.